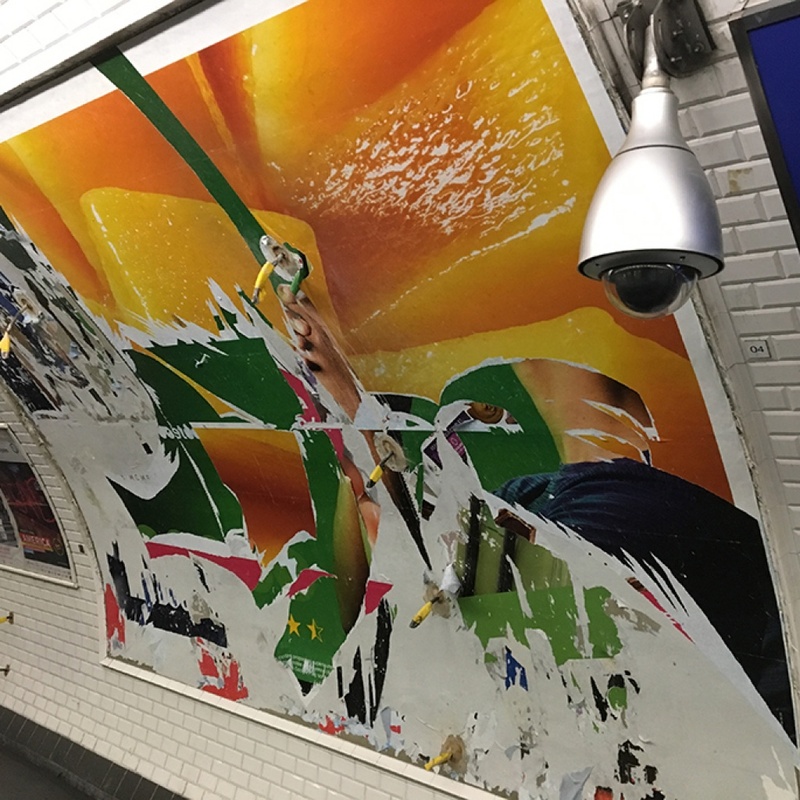 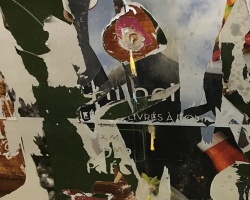 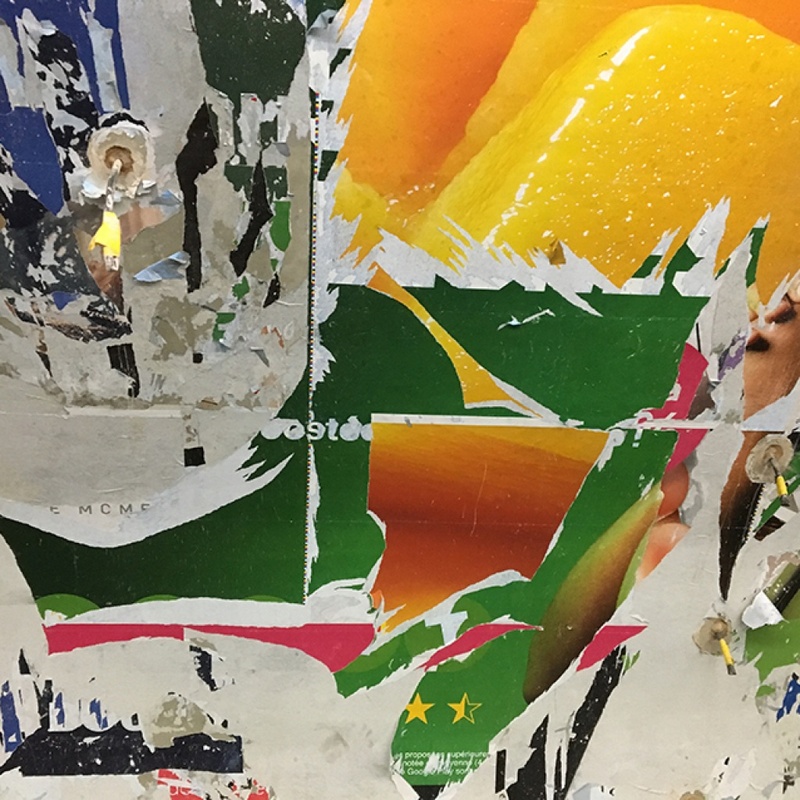 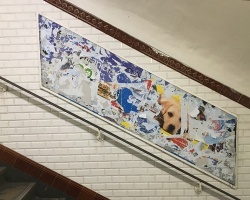 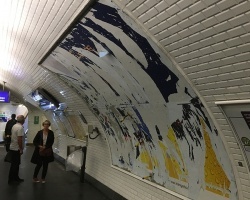 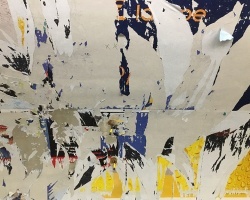 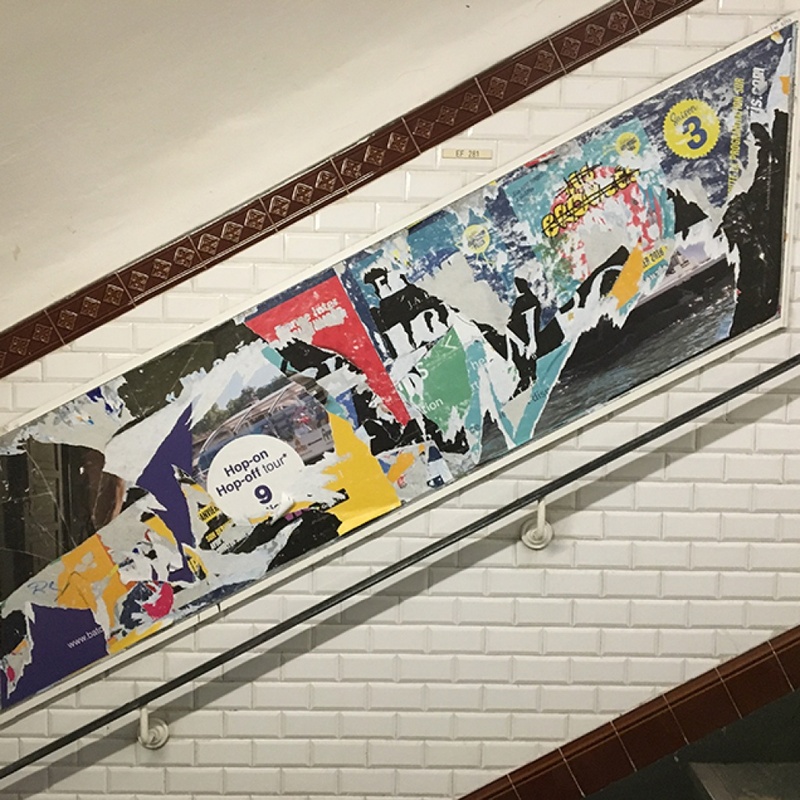 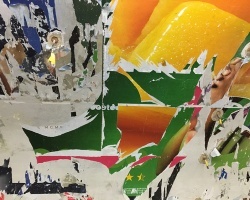 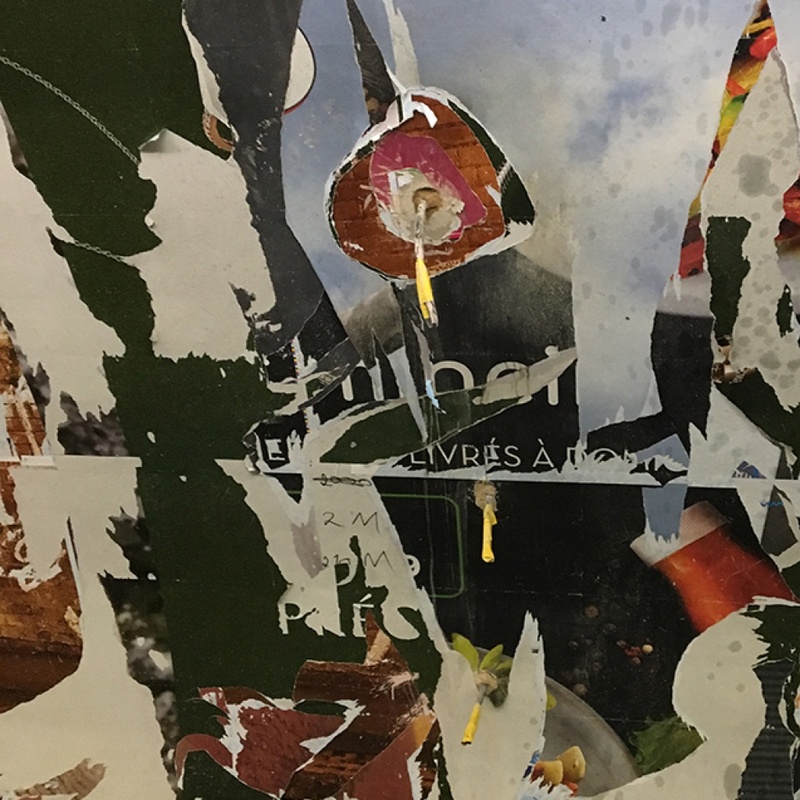 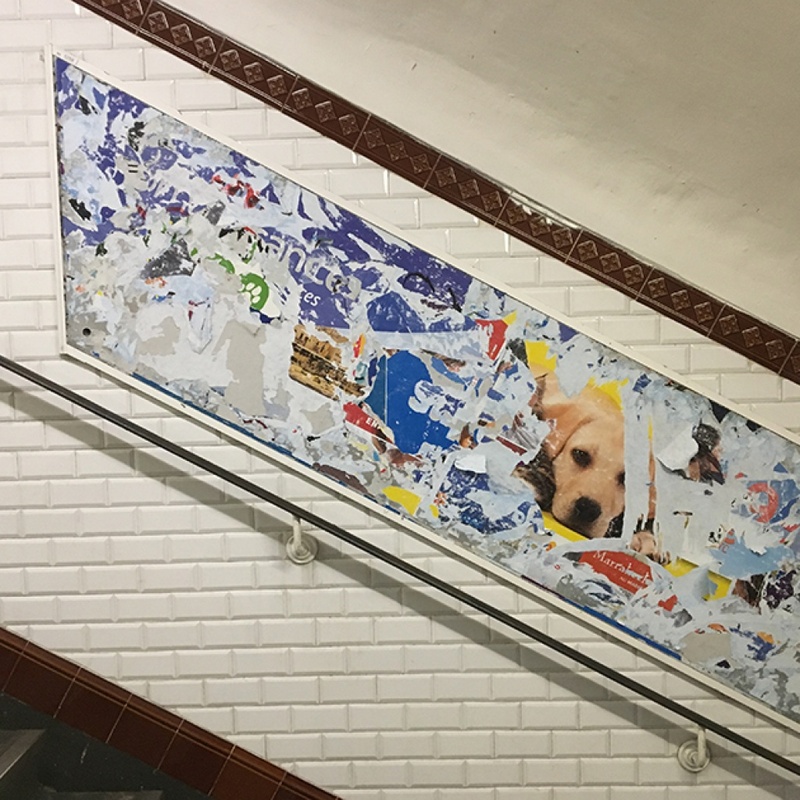 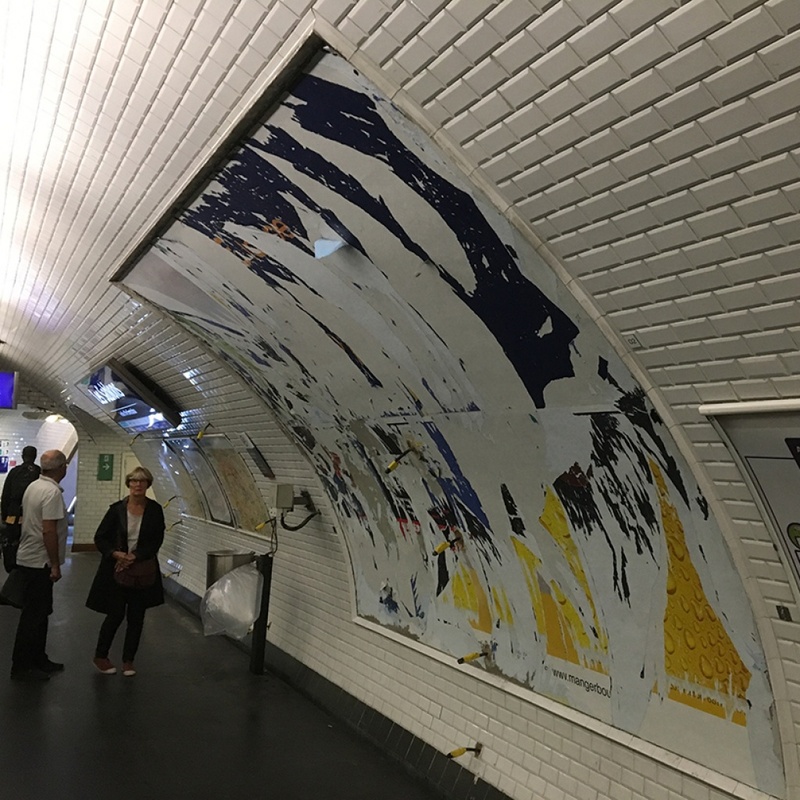 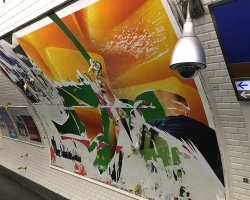 Every few months, clearing out the stratification of advertising posters saturating the dedicated spaces in the Paris Metro becomes a necessity. 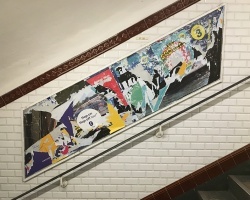 When the RATP, the Régie Autonome des Transports Parisien, asked me to imagine a cheerful solution to emphasize the renovation of line no. 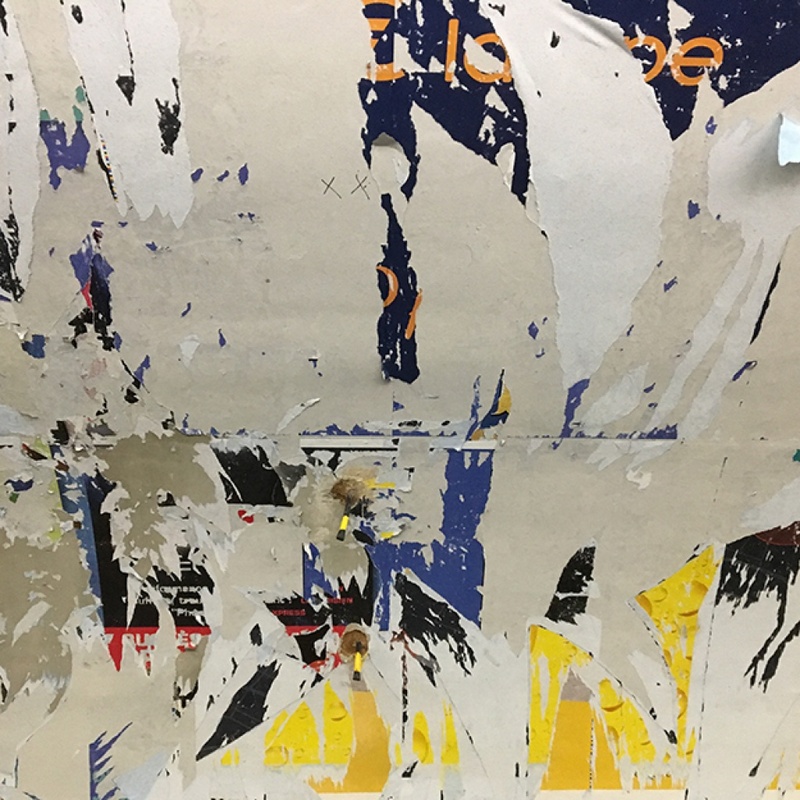 1 stations, I found it almost too obvious to work with the technique of décollage *. 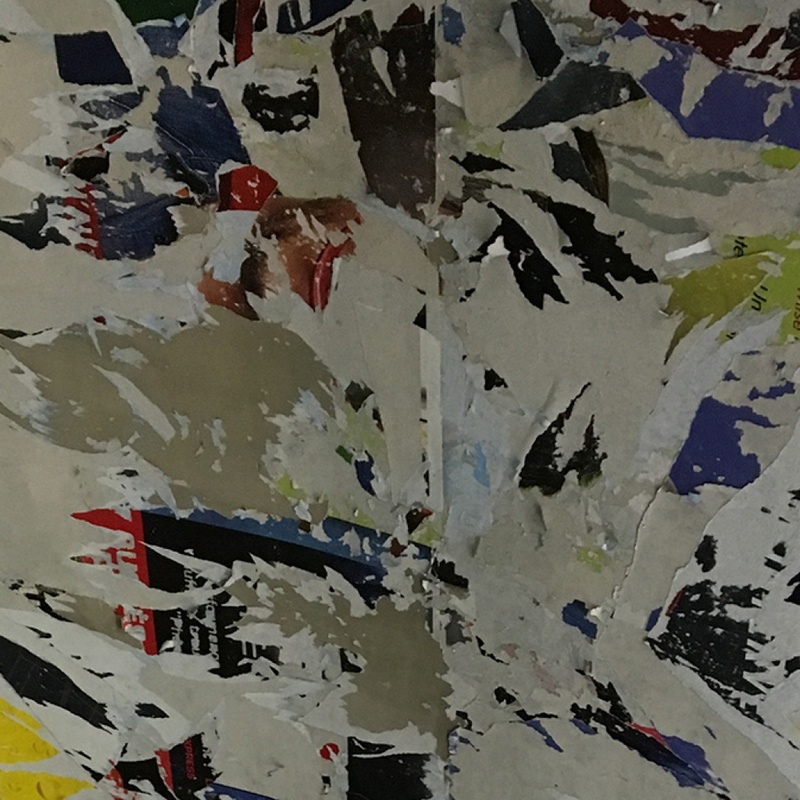 Though it would be difficult to deny a kinship with the pioneering work of the 1950’s New Dada and Mimmo Rotella, I feel that this work is fully original and contemporary, with a definite twist towards abstract compositions with a richer palette of fuller colours and multiple hues. 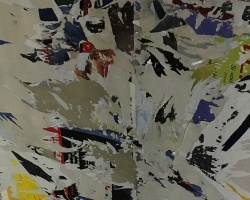 * The opposite of the collage procedure, décollage is a technique that instead of adding elements of the work, starts from an object from which the parts are detached.